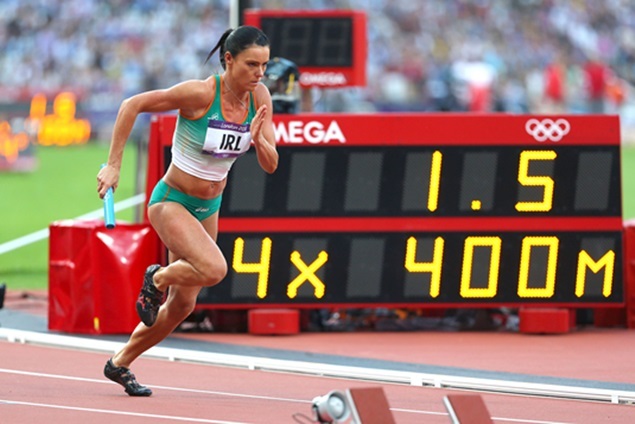 This week as part of our weekly Women in Sport series, we caught up with the inspiration that is Marian Heffernan. 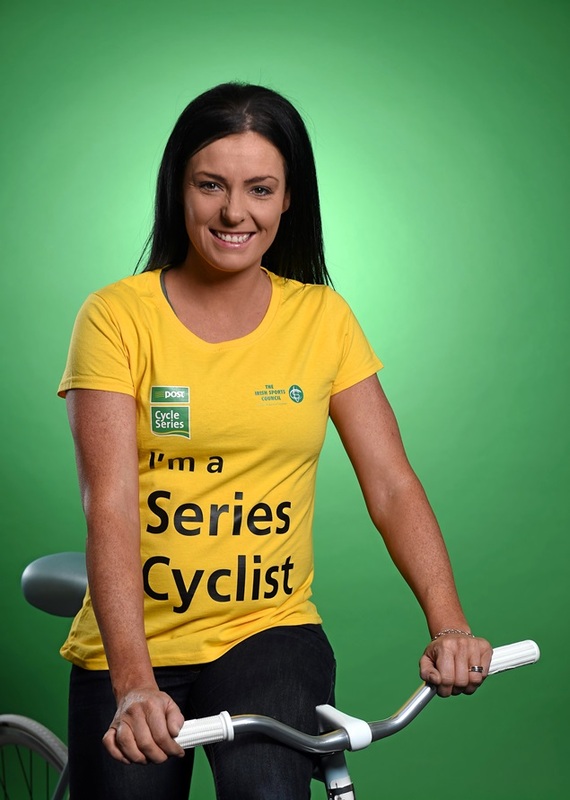 Not only is Marian a former Olympic athlete for Ireland – and we’re certainly used to seeing her on the running tracks around Europe – but she was also recently revealed as an ambassador for the An Post Cycling Series. 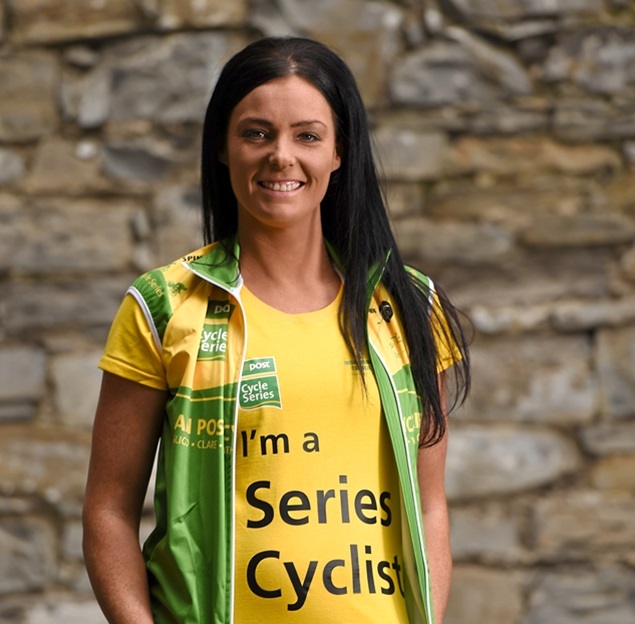 The series kicks off this May and will see a number of cycling events taking place across the country – starting off in Sligo and ending in Cork in September. 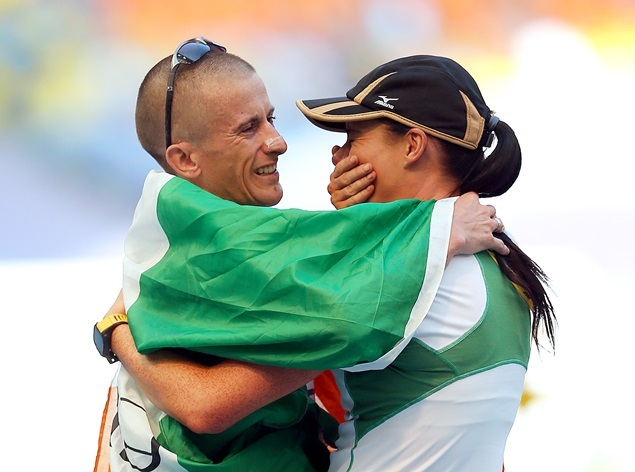 Marian, who is currently eight months pregnant, a busy mother and a coach for husband Rob Heffernan, explains how she got involved in cycling and how much her new hobby means to her. “Last year was my first big race, it was the first time I spent a lot of time on the bike. I do a lot of cycling usually but it has never been in that capacity so I was kind of thrown into the deep end there, but it was still a brilliant experience and it’s a fantastic event,” she explained. “It all started off really with Rob because he does up to 250 km a week, but obviously I can’t run along with him,” she continued. “So, on certain courses we got a bike as I couldn’t drive because Rob needs shelter when he trains, in woods and different trails, so it was easier to get a bike. I was doing a lot then and spending a lot of time on the bike. “Then a friend of mine in the gym said to me one day, ‘You should come out with us a few days a week’, but, with my kids and everything going on, it was hard to commit to their times. In the end, I started off doing about an hour. “Then I found that the distance I had been doing in the hour, I was able to do it in 50 minutes and I had to extend the loop and it all just went from there - I ended up on my bike for up to two hours! “I was delighted to be asked by An Post to come on board to do this because after running and sprinting, I needed another outlet. Cycling was easier on me as well, as I wasn’t stiff the next day and I realized that it was a brilliant way for me to keep fit." “When I was pregnant last year, I backed up my fitness when I couldn’t get out on the road with spinning classes which meant that I got to spend time with my family too, so cycling has really fitted in neatly to my life. With just a few weeks until she’s due, Marian added that it is harder to keep on top of it all – yet still manages to run three kilometres with relative ease! “Now, I have a few weeks left to go [in the pregnancy], so I can only run about 3km now in about 24 minutes. “It’s been great though as I’ve jumped between spinning and cross-training because I didn’t want to be stuck in classes three or four times a week. It’s brilliant, this way you can get your heart rate up and you’re in a gym environment. I was out on the bike up until Christmas and then my nerve kind of went,” she added. “Cycling in general is a lot kinder to your body. Last year, I would have done 5km runs and I would have had more pain after a 5km run than an 85km cycle. I could get out on my bike for about an hour or two hours and still not feel crippled the next day. “Because I came from a sprinting background though it was difficult at first as my posture would have been different and, after bending over the bike, my back got a bit tight. That was natural enough and I don’t have an issue with it now thankfully, but it took so time to get used to it. “Initially when I started cycling that was one of the little aches I got. As I said already, there is a big difference with running. I find that with running you might get one second wind but with cycling, you recover so fast and just when you think you’re at the end of your tether, three minutes later you’re back on the bike and you’re flying it again. “You recover really quickly and you could get ten, eleven or twelve second winds and then you’re back on track again and you get through it. It’s definitely a different kind of challenge. “It’s nice too, to be doing something different. As a runner, I feel like when I’m doing a 5km that I’m more under pressure as people know I’m a runner and I feel like I really have to push it to prove myself. But on the bike now I can go out without the pressure and not a lot would be expected of me!” she laughed. And despite the imminent arrival of a newborn baby, Marian is adamant that she will be taking part in the An Post cycle in Cork this year. “I will be doing the race this year again. 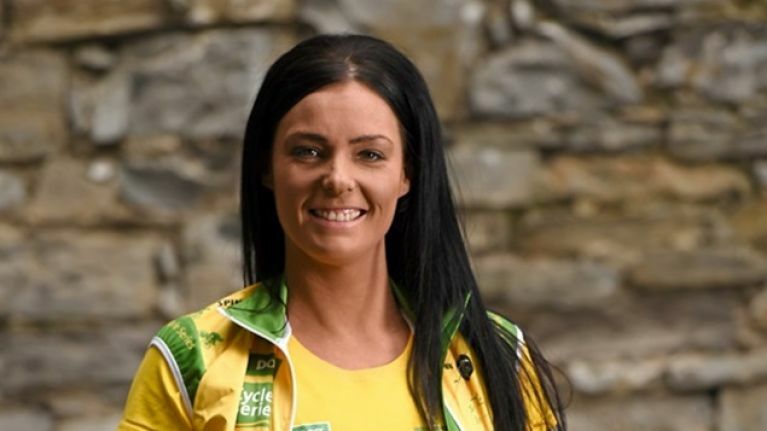 I was actually put down for the Cork race last year as it was in September so I could get as much time on the bike as I wanted beforehand,” she said, explaining that Regan was eight months old at the time. “Last year, I had to do the 85km cycle and it was actually the longest cycle I’ve ever done – I was so proud of myself when I finished it! “It was brilliant and I’m going to be doing the 100km this year so I’m going to step it up again. “I remember how the 85km had been my longest cycle ever and I woke up the next morning and I felt fine. I wasn’t sore, I wasn’t stiff, I wasn’t tired and I could still function so that really was brilliant. “On top of all that, coaching with Rob is still full on – he is coming into racing season now so he has his Olympic qualifier in Slovakia. It’s been a while since he ran a 50km, but he still needs that practice and that stimulus over the distance." “It’s a low-key race and it’s a perfect time for him to go out and get the standard under the radar, more or less." So how does she juggle it all? 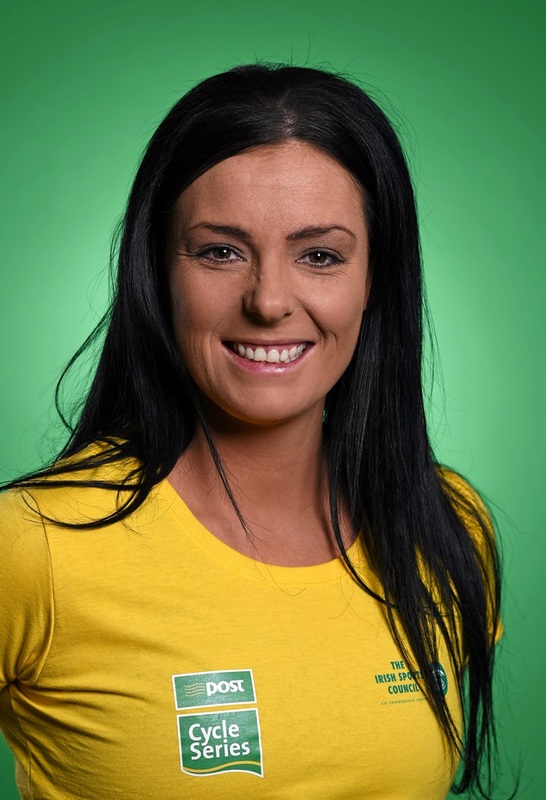 From mother to cyclist to coach – Marian certainly has a hectic life! “A day in my life?” she laughed. 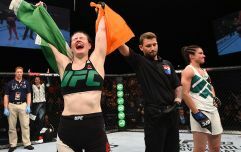 “Well, I think because Cathal is nine and he’s going to school and Regan is one, what we normally do is we drop Cathal to school, come back and get the gear ready for training, get Regan’s stuff ready for the day, more or less, then Rob will finish his morning session at about half one. “Then we come home, have lunch and we don’t have to pick up Cathal until about half two. Rob sleeps so Regan then would have a sleep with him for a while. “That’s my time then - I’d get out on the bike or whatever, then when I come back, Rob is up again for training and we’re back at the school getting Cathal. Now about to add another baby into the mix, does she think this schedule will change? So would she recommend cycling? “Definitely,” she agreed vehemently. “As I said it’s just so easy on the body, you still get your workout, you still get your heart rate up and it’s a great sport. “You can get time on the bike and you won’t be exhausted at the end of it. The atmosphere down there at the An Post events last year was unbelievable. It actually took me aback because it was my first competition on that scale, ever. “There was a massive family element to it, and it was just a brilliant atmosphere. I think a lot of people got the cycling buzz from there because they saw, as spectators, that it was people of all levels taking part. “I think people have this idea with cycling and they say ‘Oh, it’s not for me’. I suppose I was the same before I started out but if you just kind of get on with it and just do maybe an hour, like what I did – you’ll be hooked!" And after all that, what was her highlight of her own career to date? “Obviously, the Olympics was a massive one but probably what people didn’t see, that I was really proud of was in 2008 before the last Olympics. I got called up to run 400 metres for Ireland in the Europa Cup in Portugal and I ended up coming third in the race which was huge because I think I was ranked last! The An Post Cycle Series has one event every month between the months of May and September. For more information on the events you can check out their website here. 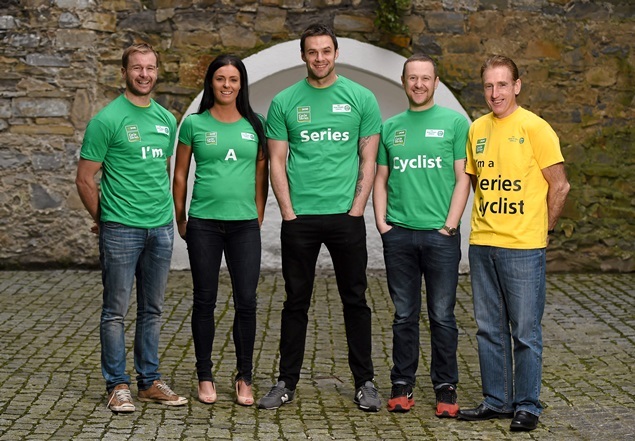 The An Post Cycle Series Ambassadors PJ Gallagher, Bressie, JJ Delaney, Marian Heffernan and Sean Kelly launched the 2015 An Post Cycle Series. Five events will be held across the country, monthly between May and September, starting with the An Post Yeats Tour of Sligo on Saturday 2nd & 3rd May. Visit the website here. 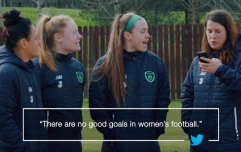 Supported by An Post and the Irish Sports Council, delivered by Local Sports Partnerships.